Japan Display Inc. (CEO: Shuichi Otsuka) has developed a 12.2-inch (30cm) diagonal high resolution 2D/3D switchable liquid crystal display (LCD). Our newly-developed 2D/3D switchable LCD uses a variable parallax barrier to display the 3D images and to change the viewing direction of the 3D images. We have achieved a suitable 3D viewing area by synchronizing this variable parallax barrier with a head-tracking system. 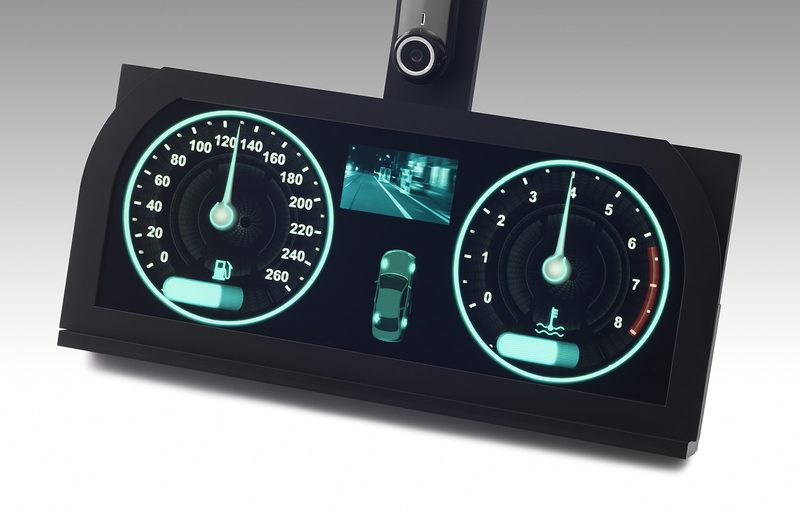 Recently, customer requirements for 2D/3D switchable LCDs for automotive use have been increasing. 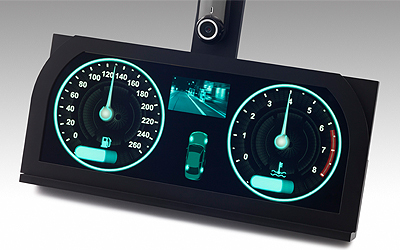 By using this technology, we have developed a display suitable for automotive use, which can be used in a system to track the driver's head position and produce the appropriate 3D images for the driver. This display is a high resolution, 2D/3D switchable LCD. In 2D-mode, it has a resolution of 720 HD 1920(H) X 720(V) pixels, and in 3D-mode, a resolution of 960(H) X 720(V) pixels.